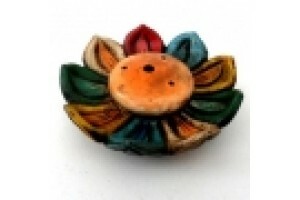 Hand-carved and painted incense burner, decorated ..
Chamomile Incense. Approximately 30 sticks with wo..
Copper incense/scroll holder 25cm long. In antique..
Copper Lotus shaped incense burner. 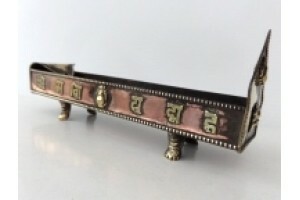 Oxidised Copper lotus shape incense burner with 8 .. 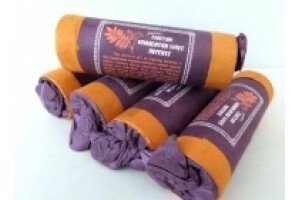 Traditional Dakpa Tamdin is manufactured to a cent..
Frankincense Incense. 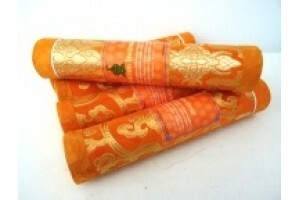 Approximately 30 sticks and ..
Hand-painted terracotta lotus flower incense burne.. 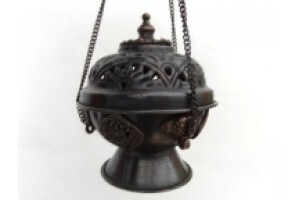 Hanging copper incense burner with brass auspiciou..
Tibetan Himalayan Spice Incense. The ancient art o.. Karma Incense (26 Sticks) . Made with 56 medicinal..
Copper Incense Burner 25 cm long. 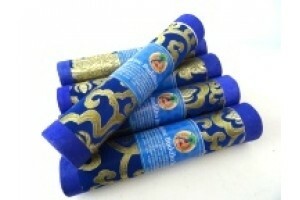 Suitable for sti..
Lotus traditional Tibetan Incense is hand prepared..
Fine quality Medicine Buddha Incense made to ancie..
Fine quality Meditation Incense. This incense comb..
Tibetan Musk Incense cones. Contains 25 cones with..